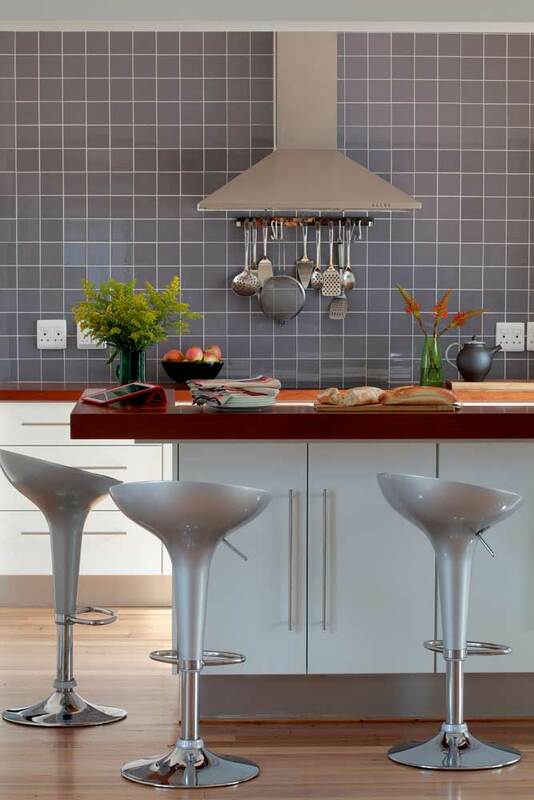 Although they’re often considered just a practical element, offering an easy-to-clean surface, stylish splashbacks can also be used to update a tired kitchen, create a focal point and add pattern and colour. 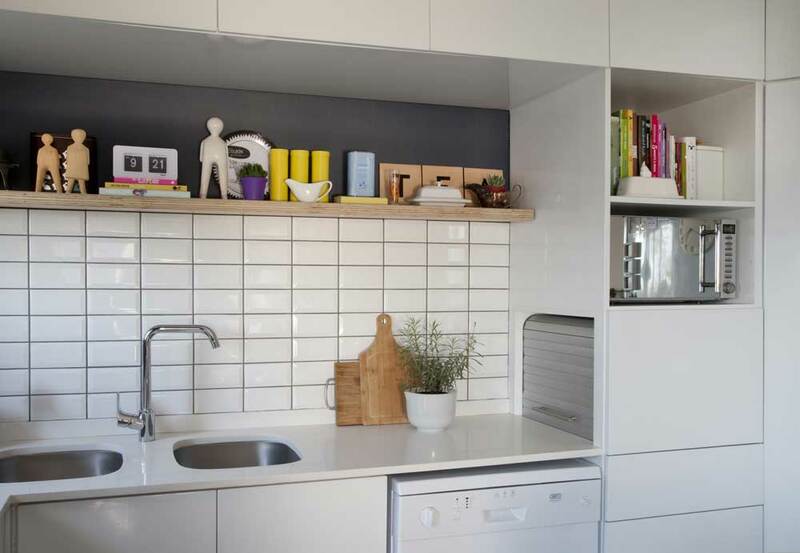 For a stylish, seamless look, carry the counter surface up the wall. 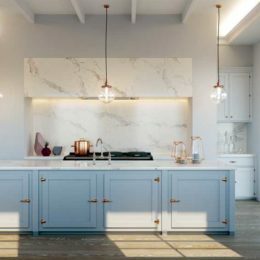 Caesarstone’s new marble-inspired design, Statuario Maxima, used above and behind the stove, takes this kitchen to a new level of sophistication. 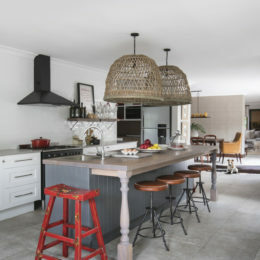 Patterned tiles, like these, are all the rage at the moment and can be combined in different ways to give a neutral kitchen its own personality. 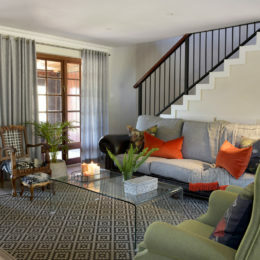 Decor by Union 3. 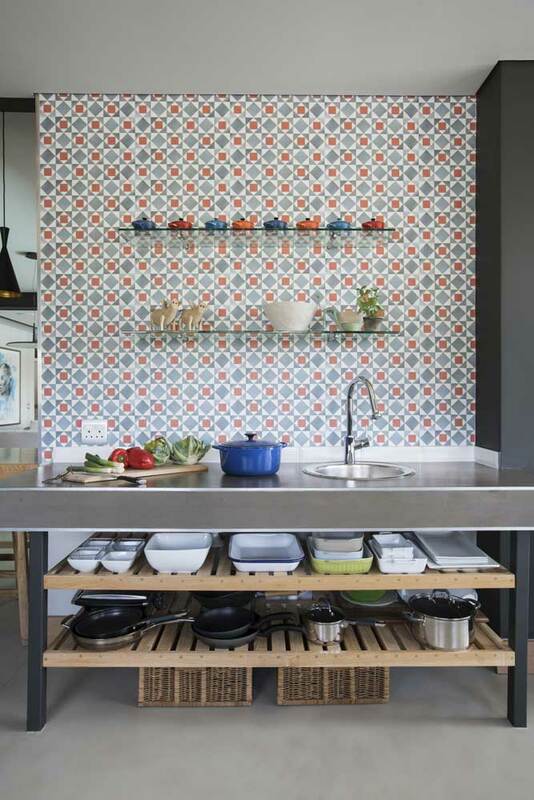 If you want to use wallpaper in a kitchen, vinyl wallcoverings are best as they’re washable. 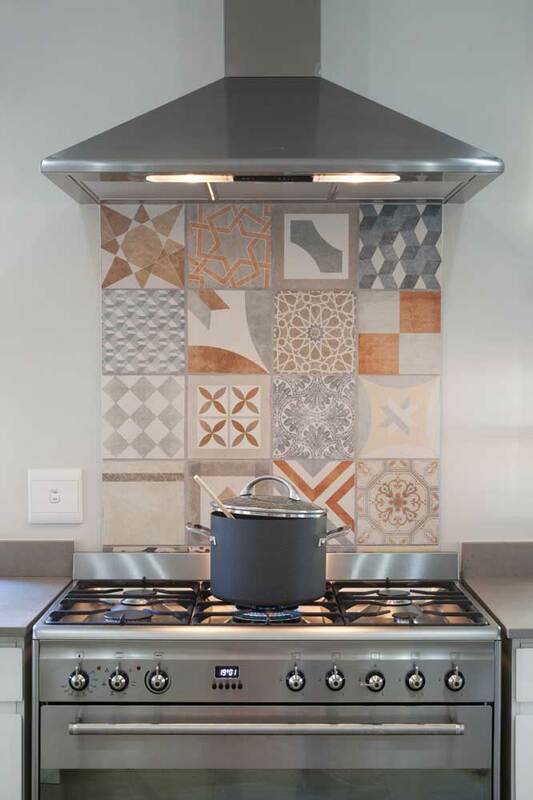 To make a statement in this Jo’burg kitchen, installed by Lynne Olivier Interiors, interior decorator Bronwen Barnes clad one wall in Kaleidoscope from Sasi Wallpaper, which resembles tiles. 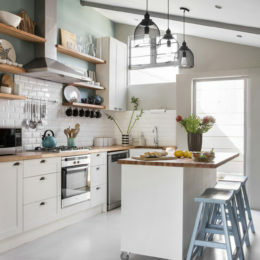 By continuing the splashback up to the ceiling and using a contrasting grout, the owners of this Cape home created an attention-grabbing feature wall that adds depth to their white kitchen. 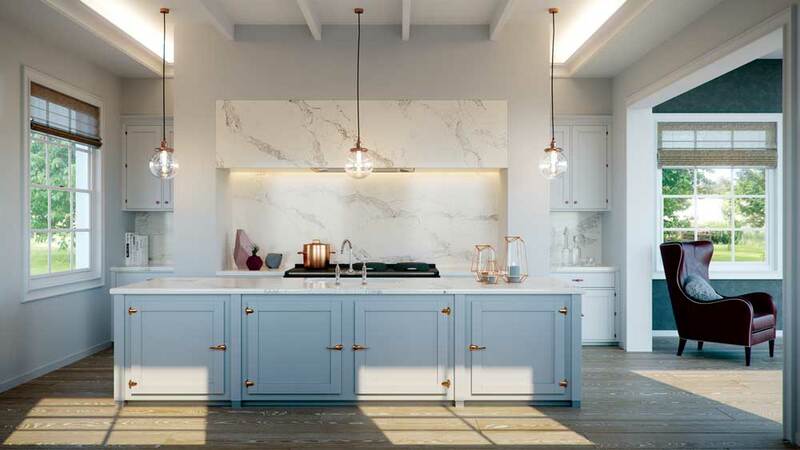 Marble is definitely having a moment and its grain suits both classic and modern kitchens. 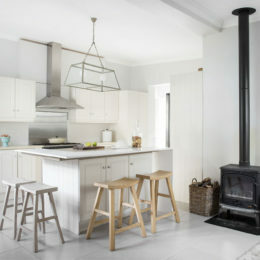 In this Durban house, Carrara marble was used behind the stove and carried through onto the countertops. 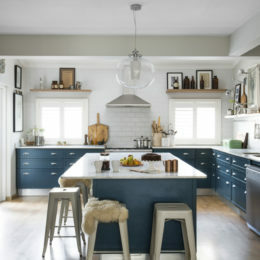 Kitchen design by Patina Interiors. 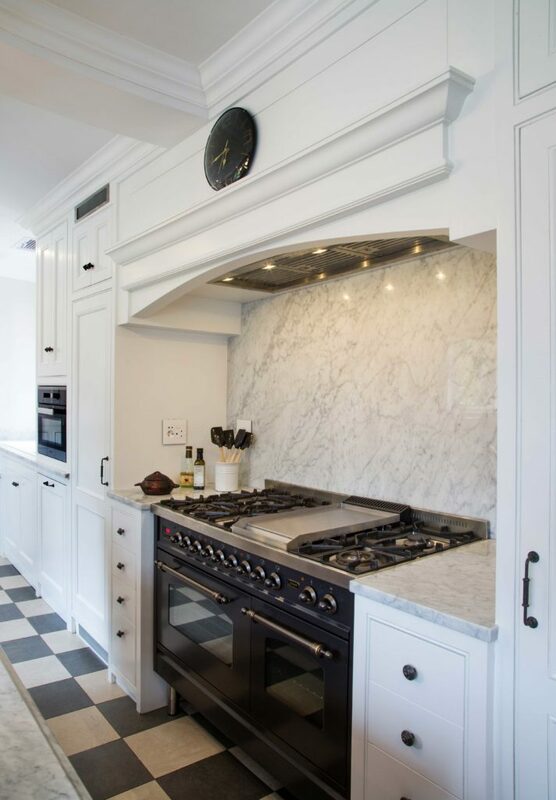 One of the reasons subway tiles make a popular splashback is that they can be laid in many different patterns, from running bond to herringbone. 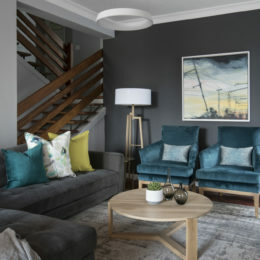 Here, brand consultant Nicola Ashe has laid them in straight lines to emphasis their geometric quality and finished them with a floating wooden shelf. 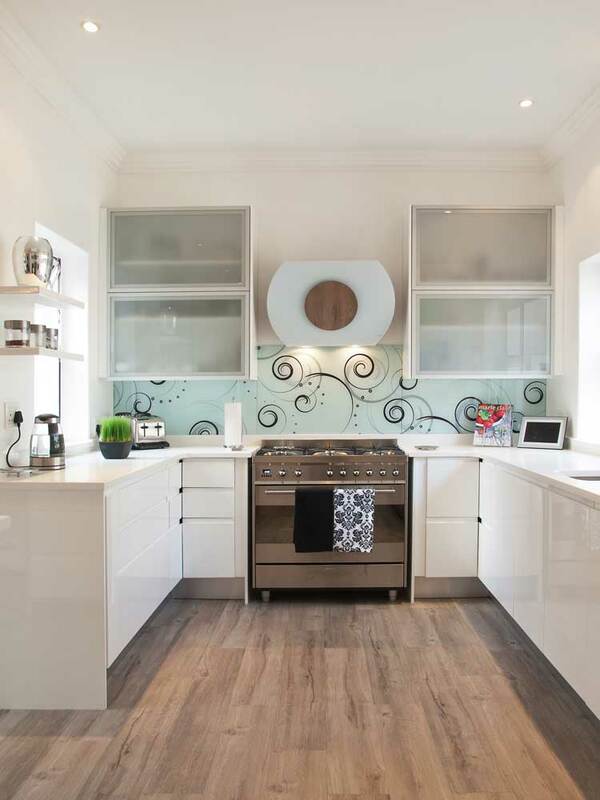 As any pattern or image can be applied to the back, custom-designed, heat-resistant glass splashbacks are becoming increasingly popular. 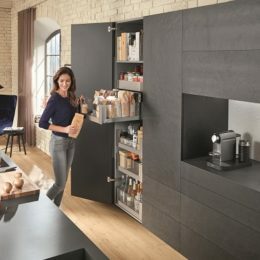 And should you tire of the design, it’s relatively easy to replace. 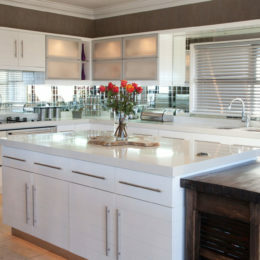 Kitchen by Easylife Kitchens. 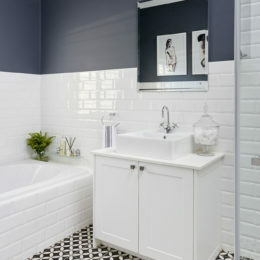 Mosaic tiles have a textured effect and can be used to form interesting patterns or placed in a solid block of colour. 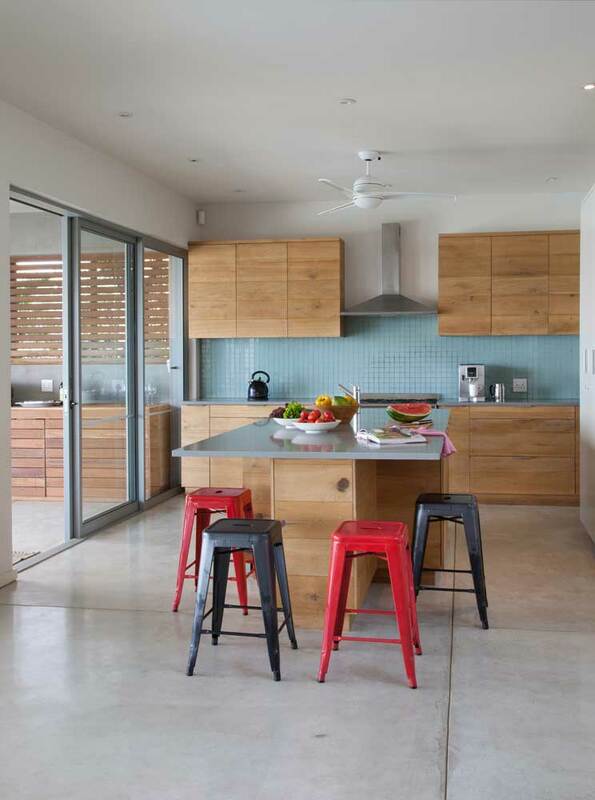 In this beach house in KZN, glass mosaics inject a fresh energy that’s perfect for the seaside. 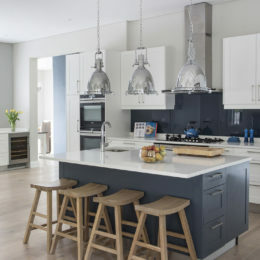 One of the advantages of glass splashbacks is that they bounce light into a kitchen, creating interesting muted reflections. Another is that, as the glass is back-painted, you can literally have any colour you want and even add graphics. 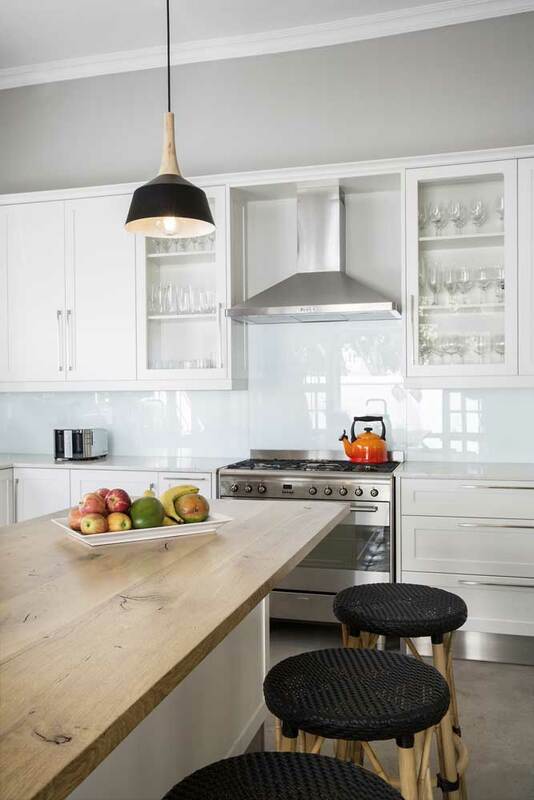 Here, Kunst Architecture and Interiors chose white to maintain the minimal style of this kitchen.